It’s December 1 and Holiday flavors like Egg Nog and Brandy are everywhere. Gift buying can be exhausting! We have a solution: Keep up your strength with higher protein choices with quality carbs. 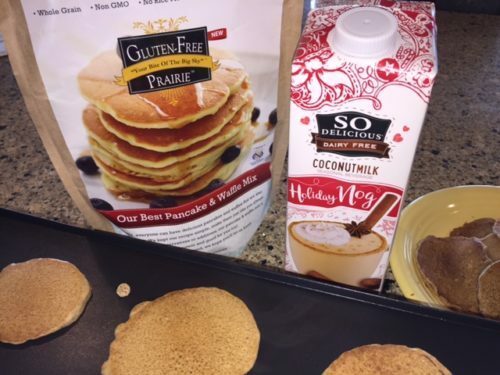 Turns out that our new pancake and waffle mix makes great Egg Nog pancakes that can take you all the way through until New Years Eve.Our Best Pancake and Waffle Mix contains 4 grams per serving and is fantastic when made with So Delicious Holiday Nog adds just the right amount of rich sweetness. No syrup required. This perfect combination of Holiday flavors is a great addition to any festive breakfast or brunch. And no one will believe they're gluten-free.